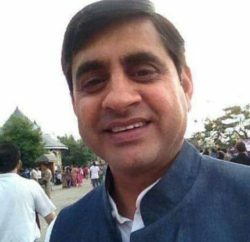 Shimla: Forest Minister Thakur Singh Bharmauri and Chief Parliamentary Secretary I.D Lakhanpal have termed the statement of BJP leaders, in favor of Anurag Thakur, as unfounded, unsubstantiated and a lame utterance of frustrated leaders to divert attention from the misdeeds committed by BJP and its leaders during their last five years of misrule. In a statement issued here today, they said that it seemed that the wrongs committed by the BJP leaders during their tenure were haunting them and they were resorting to malicious campaign against the State Government. The allegations of political victimization leveled by the BJP leaders were totally false and baseless. If they had done no wrong they need not to fear. As regards the case of HPCA headed by Anurag Thakur, the investigation was being carried on the basis of the charge sheet submitted by the Congress Party and an Advocate has also filed a complaint in this matter. 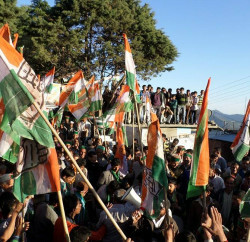 Bharmauri and Lakhnapal said that people of the State were aware that the previous BJP Government led by Prem Kumar Dhumal had thrown all the norms and regulations to winds to promote his son Anurag Thakur by facilitating the HPCA and heaping benefits on it. They said now when the law was taking its own course, the BJP leaders were making such a hue and cry to pressurize the investigating agencies. It was strange that the BJP Government could not find land for Central University at Dharamshala but there was no shortage of land for the HPCA as it was a planned move to protect political and commercial interests of Anurag Thakur. They said that Anurag Thakur had betrayed the trust of the people and had not adopted transparency in functioning of HPCA and more than one body was running with the name of HPCA. The HPCA had another body with same acronym HPCA (Himalayan Players Cricket Association) registered in Kanpur and its address was found to be fictitious, which amounts to fraud and cheating. HPCA was perhaps the only cricket association in India which was running a five-star hotel. They said seems that Dhumal was using the whole State BJP and the HPCA to politically establish his son. They said that land allotted for stay of players was used commercially for constructing a five star hotel. 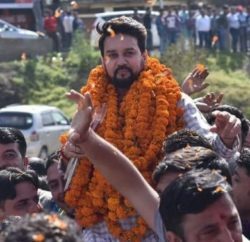 They said that Anurag Thakur changed the constitution of the HPCA and added 26 life members with voting right in the association to keep absolute control over the HPCA. They said that HPCA was being run as a captive organization by Anurag Thakur. He was given the supreme powers and all power regarding giving life time memberships and in other matters was lying within his preview. They said that land was allotted to poor person and Anurag Thakur had purchased this land in violation of law which has rendered the poor land less. They said that law was taking its own course in the matter and there was no question of vendetta.